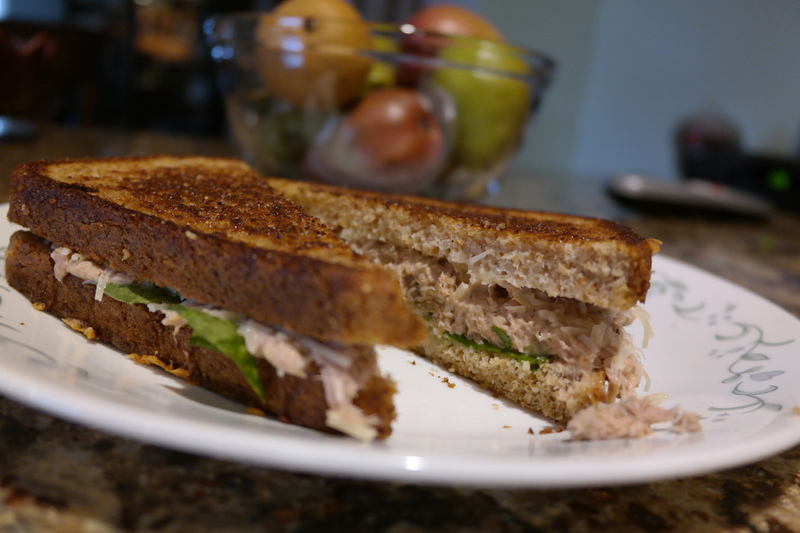 Tuna is enhanced with greek yogurt, sriracha sauce, and dill to make a nice mixture of flavor, then further amplified with the addition of shredded parmesan and avocado, layered with spinach. What could contain such a barrage of flavor? Wheat bread seasoned with salt and pepper, grilled in olive oil for the crispy contrast to the creamy contents. Yes, you’ll have flavor, texture, nutrition, and a small sense of peace as you finish the last bite of this sandwich. And this late in the year, I’m pretty sure you deserve that moment.